structure itself is small, it is home to some pretty big ideas and a mighty-sounding name – the Integratron. Today's guest is one of the current owners of the Integratron, Joanne Karl. and currently offer daily sound baths, meant for meditation and healing. 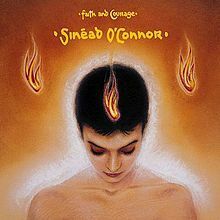 Sinead O'Connor. The song and the album are available on iTunes. The story of the Integratron is in many ways a companion piece to last month’s story about the Giant Rock of Landers. Certainly, they share a history and some of the same cast of characters. I don’t think anyone would argue that without Giant Rock there would not be an Integratron. So how DID the Integratron come to be? Tassel leased the property through the proper channels - from the Bureau of Land Management. A pilot and aircraft mechanic himself, Van Tassel took advantage of the runway Kritzer had built on the property and opened it for business as the Giant Rock Interplanetary Airport. He even built a restaurant on the location – called the Come On Inn. It was famous among local pilots for Eva’s hamburgers. Even Howard Hughes was said to have flown in to the location just for a piece of her spiced apple pie. While the Van Tassel family lived largely outdoors, George was fond of going down into the bunker Frank Kritzer had dug out beneath Giant Rock to think and meditate. The meditation sessions became a regular part of Van Tassel’s routine… and it wasn’t too long before he began to feel like something (or someone) else was communicating with him during his time in the bunker. 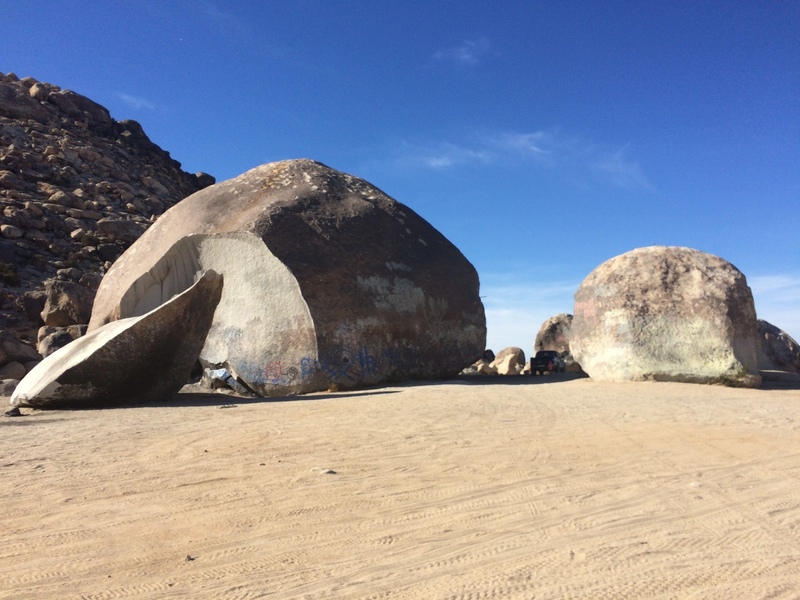 The remote location and spiritual significance of Giant Rock drew other seekers to the desert as well. Van Tassel believed that a nearby crystalline hill possessed great channeling power to those at Giant Rock by virtue of its piezo-electric characteristics. If there was communication from another world waiting to be received, this was the place to tap into it. 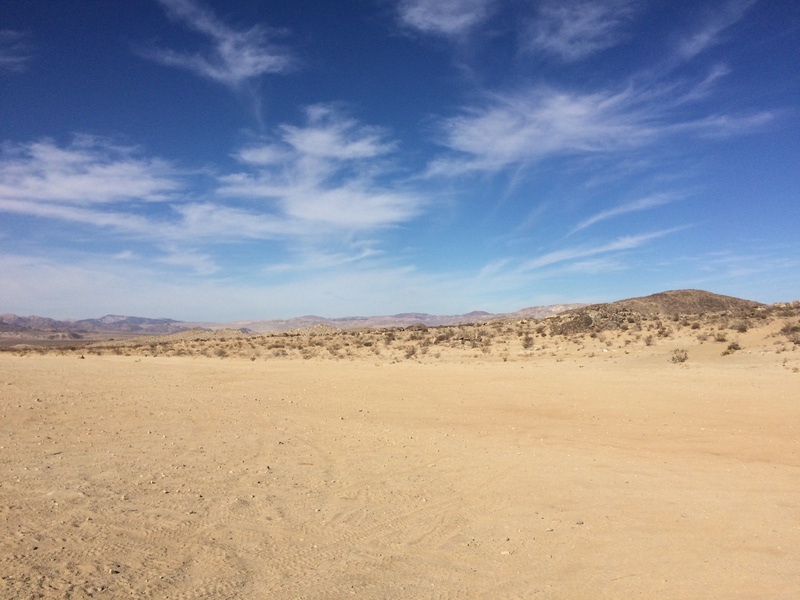 Those who were interested in what he had to say and wanted to share in his experience, began to travel to the Mojave to join him down in the bunker beneath Giant Rock on Friday evenings for regular meditation sessions. From the position of the full moon, I judged it to be about 2 a.m. On the desert here it is nearly as bright in full moonlight as it is in daylight. I awakened, not knowing why, but sensing that something had disturbed me. We sleep outside about 8 months out of the year, so you can see that our bedroom is readily accessible. This is not uncommon as we operate a public airport and have been awakened many times by our dogs barking at people coming in the night. However, at this time not a sound was heard from the dogs. Van Tassel claims he was given something of a tour of the inside of the ship and that he and Solgonda communicated telepathically. He also developed a relationship with other Venusians whom he referred to as the Council of Seven Lights. The regular meditations beneath the rock became telepathic communication briefings between Van Tassel and the Venusians. He began to write down many of the things they said to him. It was through the telepathic instruction Van Tassel received from Solgonda and the Council, as well as what he saw aboard their vessel - and bits of inspiration take from more earth-bound scientists such as Nikola Tesla - that resulted in the plans for what would become the Integratron. Just three miles down a bumpy dirt road from Giant Rock, construction began on the domed machine. Van Tassel allegedly designed and built the Integratron following the instructions provided by the Venusians – but he kept those plans close to the vest and no one was allowed to see them but himself. Even George's brother, Jack, who assisted him in the construction of the building, was not privy to the revelation and plans. Van Tassel financed the construction in part by organizing some of this country’s first UFO conventions. Known as the "Giant Rock Interplanetary Spacecraft Conventions", the events held on the grounds of Giant Rock attracted large crowds annually - 11,000 people attended in 1959 alone. The conventions were also something of a Who’s Who? of the alleged UFO contactees and reserachers of the time – including George Adamski, Edward J. Ruppelt, Truman Bethurum, and Orfeo Angelucci all attending and giving talks in various years. Van Tassel also wrote and sold a number of books on time travel and rejuvenation – titles like “I Rode a Flying Saucer”, “Into This World and Out Again”, “The Council of Seven Lights”, “Religion and Science Merged”, and “When Stars Look Down.” He also founded The Ministry of Universal Wisdom – a non-sectarian, nonprofit organization dedicated to religious and scientific research. This organization existed mostly through Van Tassel’s related newsletter, The Proceedings. But as prolific as Van Tassel was, this was not enough to support his family AND finance the building of the Integratron. And so he reached out to his many fans and co-believers for donations – including the deep-pocketed Howard Hughes, who Van Tassel is said to have known from the war. Van Tassel claimed "The purpose of the Integratron is to recharge energy into living cell structure, to bring about longer life with youthful energy." In short, the purpose of the machine was to revitalize the integrity of the cell structure at its most basic level – hence the name “Integratron”. Van Tassel speculated that electromagnetism affects biological cells, and believed that every biological cell has a unique resonant electromagnetic frequency (EMF). According to Van Tassel, the generation of strong ultra-wideband EMF by the Integratron "resonates" with the cell's frequency and "recharges" the cellular structure as if it were an electrical battery. Van Tassel claimed that human cells "rejuvenated" while inside the structure. But according to Van Tassel, the Integratron was not only capable of tissue rejuvenation, but of anti-gravity and time travel as well. He claimed the Integratron's workings relied on the generation of strong "intermittent magnetic fields" resulting in the generation of plasma in the form of a corona discharge and negative air ionization inside the building. It’s been said that the location of the Integratron is an essential part of its functioning. The actual site of the building was worked out according to a complex set of theories involving the earth's magnetic field, and the Integratron's relationship to the Great Pyramid in Egypt and Giant Rock. Van Tassel claimed the spot was a powerful geomagnetic anomaly that, when focused by the unique geometry of the building would concentrate and amplify the energy required for cell rejuvenation. This energy was to be created by the revolution of an external ring at the shoulder of the building, generating electrostatic forces that would be fed to the stator centered in the lower room. This is was why it was important for its construction to be made entirely of non-ferromagnetic materials – it was the equivalent to a modern radome. The 38-foot high, 50-foot diameter, non-metallic domed structure, was built without nails. The dome has 16 sides, is made of wood and concrete and is held together by glue and gravity-electrically neutral materials. The generating core was made of copper wire. Van Tassel claimed it was capable of collecting up to 50,000 volts of static electricity from the air in order to charge the human body. Had it been placed into operation, candidates would have walked through the building, essentially a huge air capacitor, while wearing white outfits. The charges, distributed over a wide range of frequencies, would affect every cell. Inspiration from Venusians aside, it’s more likely that the technology behind the Integratron was largely based on the Multiple Wave Oscillator invented by Georges Lakhovsky in 1923. The Multiple Wave Oscillator was a combination of a high voltage Tesla coil and a Split-ring resonator that generates ultra-wideband electromagnetic frequencies. Sound familiar? Lakhovsky's device was actually used at a few hospitals in the United States until Lakhovsky died in 1942 (a full ten years before Van Tassel had his UFO encounter) and was used in a few hospitals in Europe for another 15 years after that. Even still, the original design for the Multiple Wave Oscillator actually came from Nikola Tesla – someone Van Tassel credited with part of his Integratron inspiration as well. Georges Lakhovsky elaborated on the Tesla design and performed many experiments on plants, animals and even people with stunning results. Some of these things he detailed in his book “The Secret of Life: Electricity, Radiation and Your Body” where he stated that cells from living organisms behave as tiny radio transmitters and receivers. That book was published in Paris in 1929, and while it received very little attention in the press, it’s possible that Van Tassel had access to it and was inspired by it as he was a highly intelligent man with similar interests. While the Integratron’s main structure was complete in 1959, Van Tassel continued to work on the machine until January 1978 when in the quarterly publication of his newsletter he reported that the device was 90 percent complete. Van Tassel reportedly planned to be the first human to experience the power of the Integratron. The electronic equipment Van Tassel had engineered for the Integratron (the core and other critical components of the machine), his notes and all of his plans reportedly disappeared from the property shortly after his death. No one has come forward with them or has claimed to know of their whereabouts in the years since. Van Tassel allegedly has an FBI file – and that file is allegedly still classified; all of which gives weight to several conspiracy theories which variously support the plans’ intergalactic nature or credits Van Tassel with being the sole genius behind the technology – but invariably attributes the missing material to a government cover-up. Though it must be said that that there was another scientist who also worked on a similar project in the 1940s and `50s, who had also had an experience with a UFO in 1953, who had also suffered an sudden heart attack under unusual circumstances. Wilhelm Reich, the inventor of the controversial Orgone Accumulator, had come under attack by the Food and Drug Administration was imprisoned for contempt of court for disobeying an injunction by the FDA intended to halt his work, died in his prison bed – fully dressed - just three days short of being released on November 1, 1957. And Georges Lakohvksy – inventor of the Multiple Wave Oscillator we mentioned earlier? He died in New York of his injuries after being struck by a limousine. Is all of this just a coincidence? I’ll let you be the judge of that one. Van Tassel died with the Integratron being just short of completion - and with no written instructions on how to go about finishing it. Van Tassel's family more or less abandoned the site. The Van Tassel buildings (the Come On Inn Restaurant, an office and some outbuildings) at Giant Rock were vacated and gradually vandalized until the Bureau of Land Management eventually bulldozed the derelict remains. In the subsequent years, the Integratron was owned by Van Tassel’s second wife, Dorris. It appears she may not have had a hands-on approach in managing the building – she leased it out to a long list of people with more ideas than financing and so the building was always in varying states of disrepair. One lessee thought of turning the six-sided building into a disco, but that plan never materialized. Another was rumored to have used it as a methamphetamine lab. Periodically, old school ufologists would gather around it and recall the glory days of the Giant Rock Spacecraft Conventions while looking out for mysterious lights in the desert sky. In 1987, Dorris sold the building to Emile Canning and Diana Cushing, who purchased the Integratron in an effort to preserve it, calling the place "a very powerful vortex for physical and spiritual healing." They opened the building to public, hosted seminars, UFO skywatches and did what they could to beautify the property. In 2000, it was purchased by sisters Joanne, Nancy, and Patty Karl. The sisters operate it as something of a tourist attraction and promote the Integratron as an "acoustically perfect structure" where they offer a healing and meditation tool called sound baths. In these sound baths, groups of people are exposed to harmonic sound frequencies produced by quartz bowls, claimed to have a deep calming effect. The official Integratron website claims "it is the only all-wood, acoustically perfect sound chamber in the U.S."
Scientists, Musicians, Sound Healers, and curious seekers from the world over continue to discover this one-of-a-kind, acoustically perfect structure. Now accessible to the public, the Integratron’s potential is said to be explored in areas of Science, Architecture, Neuroacoustics, Music, Energy healing, Alternative health and Spirituality – all of which is in keeping with the themes and dreams of the life of George Van Tassel. Barry. "Understanding the Lakhovsky Multi-Wave Oscillator". Altered-States.net. Web. "Giant Rock". Atlas Obscura. Web. "History of the Integratron". 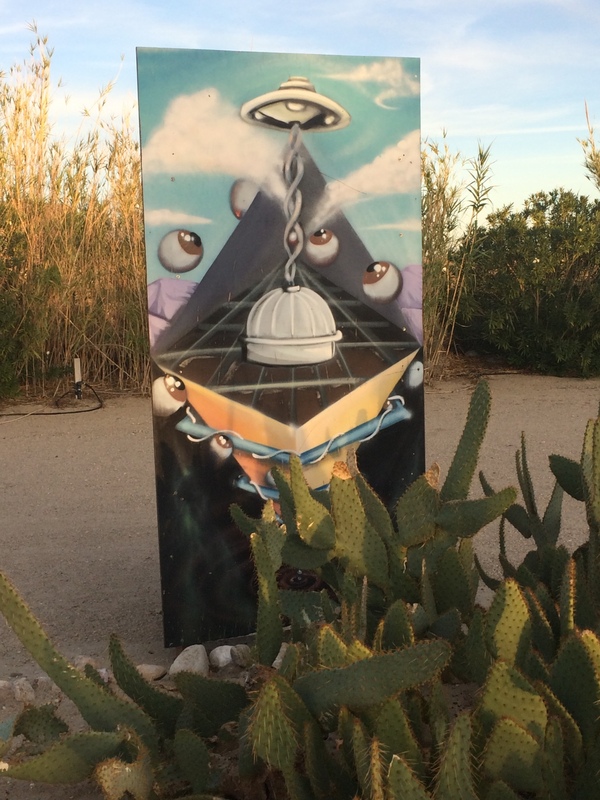 Integratron.com. Web. "Lakhovsky's Multi-Wave Oscillator". Lakhovsky.com. Web. Legrange, Barbara. "The Intrigue of Giant Rock". LucerneValley.net. February 2000. Web. "Life on Other Plantes: The House the Venusians Built". Independent. 4 May 2006. Web.